Gave to woman's Abuse center They were happy to receive them. They like things to do while they are there. Also give them adult coloring books. Help take minds off of problems!!! They are great! 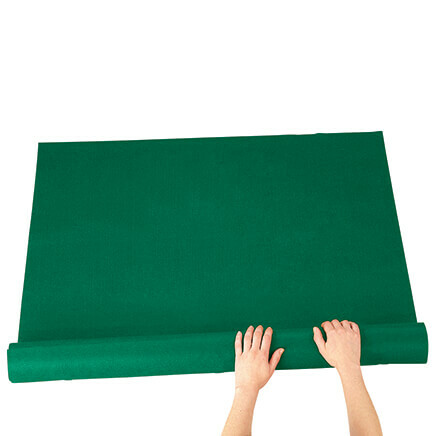 I use them at home and when we travel...they are easy to pack and use in the car or on an air plane. 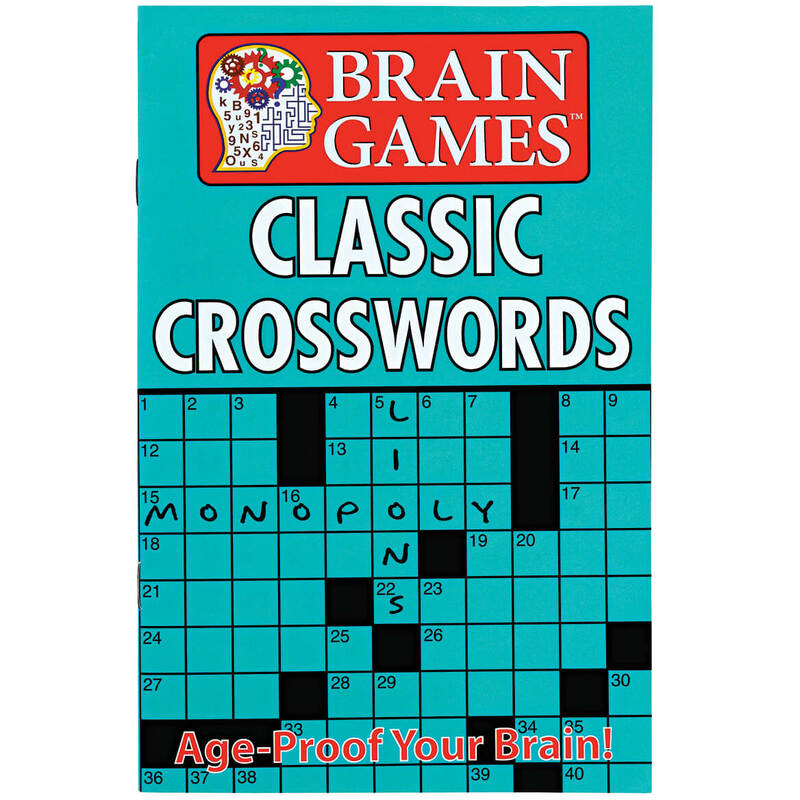 I gave this to a senior who loves puzzles. Now she has ten books from which to choose. She was really excited about the gift. I had enough to pass some around to a few people. Good brain work for my grandson. Both of these items are of interest to me. My nephew loves puzzles like this. I'm retired and need to keep the mind alert and this has a very nice variety. 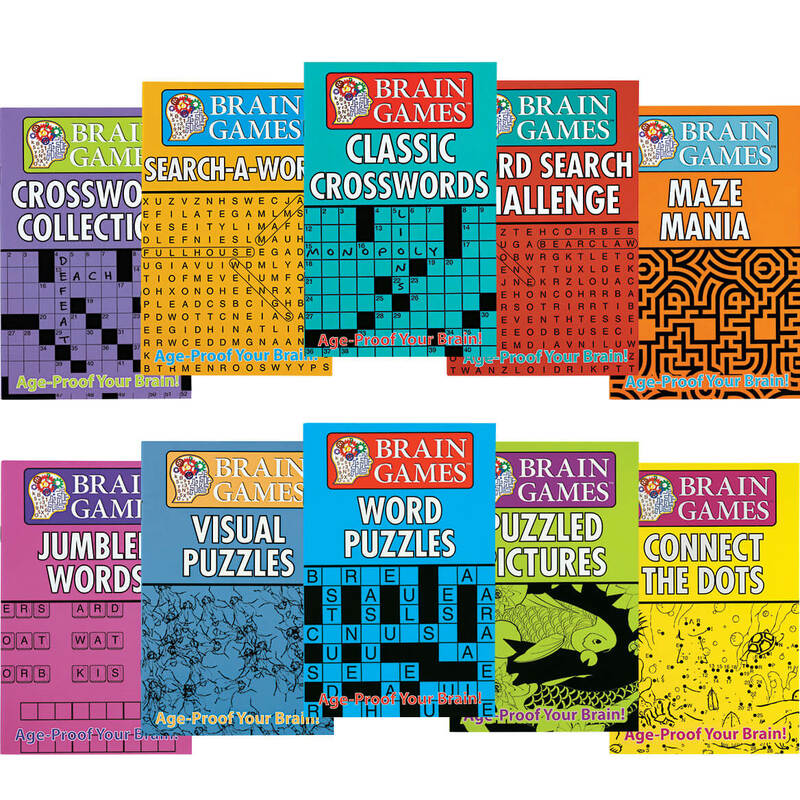 Brain games for the ones that are getting older and do not leave home. 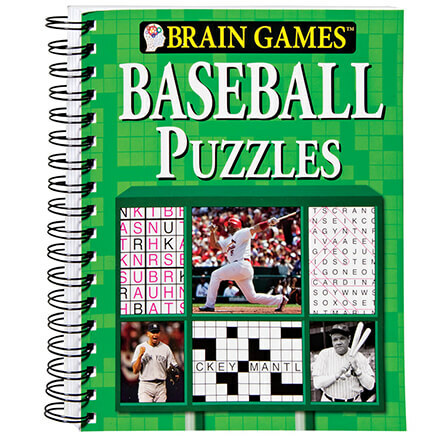 "I love to do puzzles of many kinds, especially word puzzles. These have been enjoyable!" I picked these because I love to stick one of these books in my bag for whenever I need a quick distraction in the waiting room, etc. think these will do the job!!! I give the 12 days of Christmas to 30 people. So this is for next year. 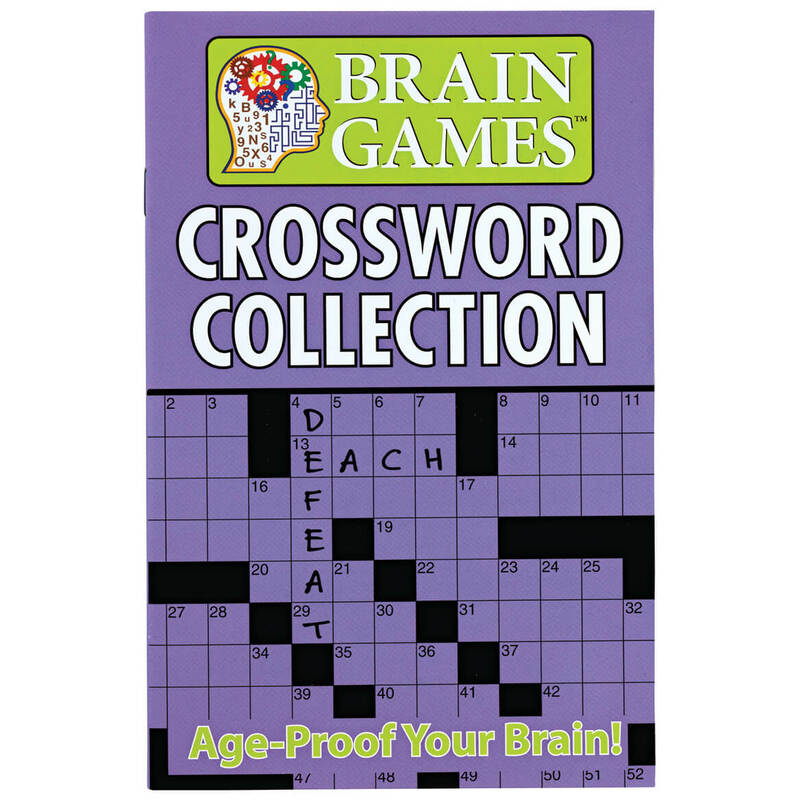 My husband loves crossword puzzles and when I told him about all the other puzzles, he asked me to order him the set. I can't ever find "jumbled word" books and see 1 in this offer. It was requested by a family member and puzzles are good for the brain and soul. Mother likes to work these to keep her mind active. for my husband because he likes these. my daughter loves puzzle books and I am sure this nice variety will make her happy. I liked the variety of the books. Small. Good to put in pocket, purse and use on air flights. 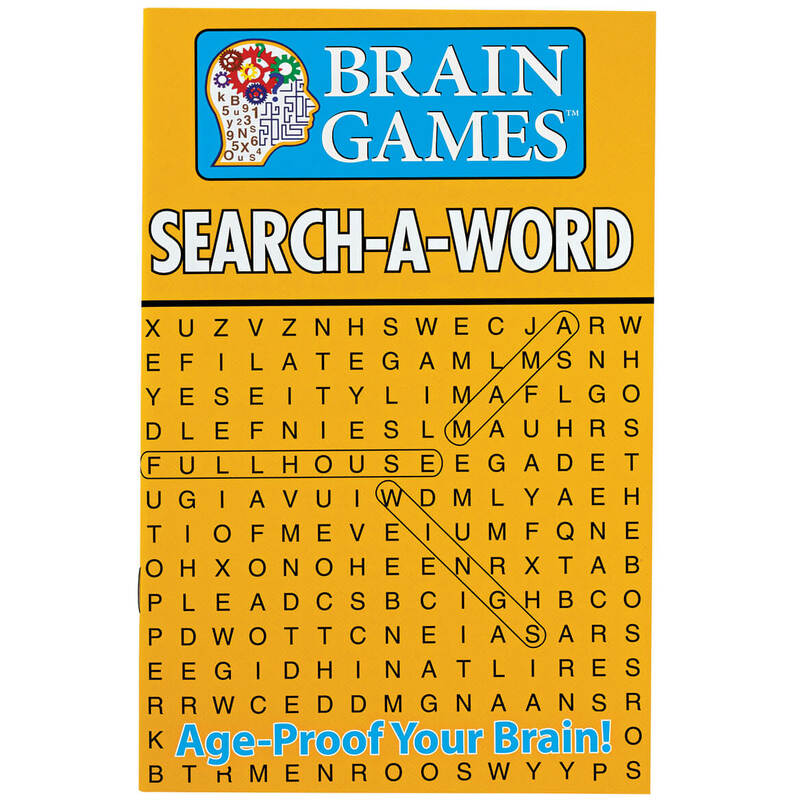 Same as the Word Search Book. BEST ANSWER: Thank you for your question. We have no shipments coming in. We suggest you check back on the website every now and then. We hope this information will be of help to you.